The online version of the original article can be found under https://doi.org/10.1007/s12576-017-0555-7. 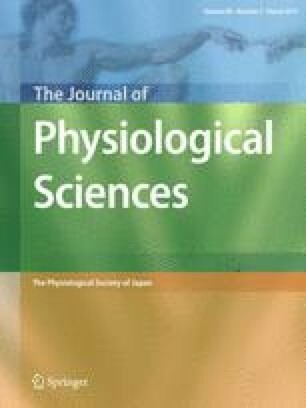 The article Potential signaling pathways of acute endurance exercise-induced cardiac autophagy and mitophagy and its possible role in cardioprotection, written by Youngil Lee, Insu Kwon, Yongchul Jang, Wankeun Song, Ludmila M. Cosio-Lima and Mark H. Roltsch, was originally published Online First without open access. After publication in volume 67, issue 6, page 639-654 the author decided to opt for Open Choice and to make the article an open access publication. Therefore, the copyright of the article has been changed to © The Author(s) 2017 and the article is forthwith distributed under the terms of the Creative Commons Attribution 4.0 International License (http://creativecommons.org/licenses/by/4.0/), which permits use, duplication, adaptation, distribution and reproduction in any medium or format, as long as you give appropriate credit to the original author(s) and the source, provide a link to the Creative Commons license, and indicate if changes were made.